La Salle FC defeated Mentors FC to win the LFL Season 2 championship. Lipa City, 1 April 2019. 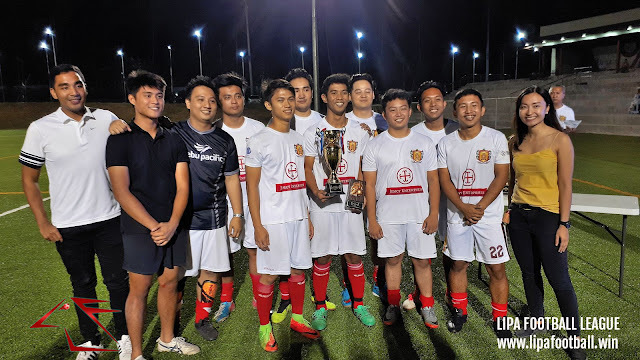 – The youngsters of La Salle FC claimed the title of Lipa Football League Season 2 champions after a brave 5-2 victory over a fellow expansion team, Mentors FC of Fernando Air Base last night at the Aboitiz Pitch of The Outlets of Lipa. The emphatic win avenged the youngsters’ 4-5 loss to the same team in the group stage of the competition. 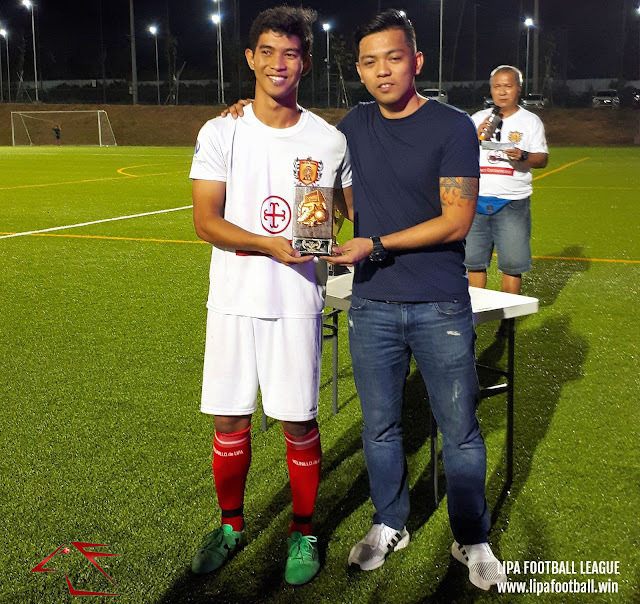 Crucially, Mentors were missing their regular starting goalkeeper Mark Anthony Mendome, who was not given permission to play by the Philippine Air Force FC because he would be playing in the coming professional Philippine Premier League. It was almost inevitable that La Salle’s opening two goals were positional errors, chipped over the goalkeeper by Samuel Panghulan. Mentors’ Mark Anthony Fernandez scored the first of his brace to momentarily keep the score close at 1-2, but Jose Gregorio Antioquia restored La Salle’s two goal lead shortly thereafter. 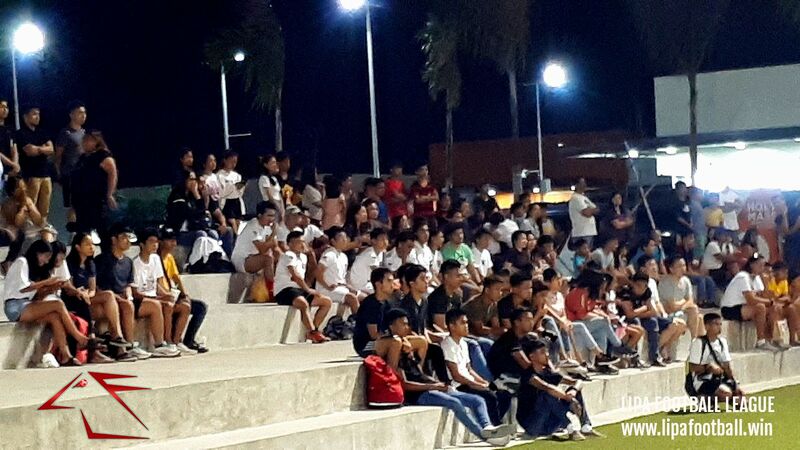 The final was attended by a decent mostly pro-La Salle crowd. Fernandez would score a second to keep the match interesting for the largely pro-La Salle evening crowd, but as the Mentors pushed forward to try and force an equalizer, the youngsters broke twice through Lorenz Miguel Berana and Antioquia again to put the result beyond doubt. The match had earlier been billed as a clash of youth and experience. La Salle FC, bannered by the high school team of De la Salle Lipa, came to the finals in peak physical conditioning having recently participated in several inter-scholastic tournaments. Experience was no match for youth and Mentors had to settle for second place. 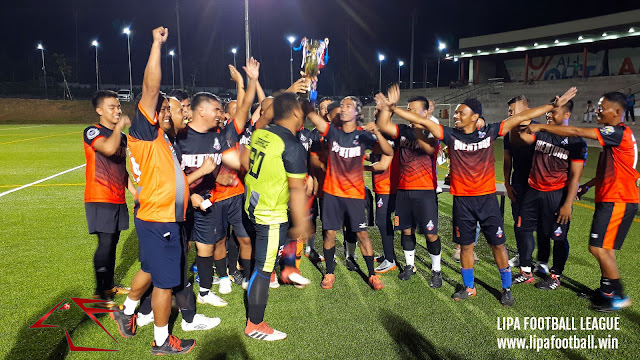 Mentors, meanwhile, had among its ranks several former stalwarts of the storied Philippine Air Force FC who, however, are past their peaks as players. In the end, youth came out on top as La Salle gave a vibrant display to claim the title emphatically. 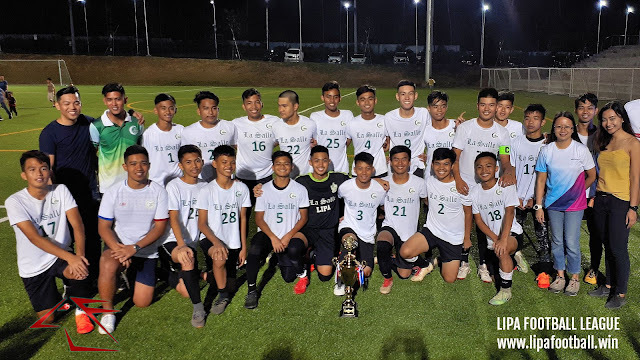 In the play-off match, host club ACF Real Molinillo de Lipa nipped Green Stallions FC, 3-2, to claim third place in the tournament. The Green Stallions twice led through Neil Paul Bernardo’s brace, but Real Molinillo came back with goals from Tyron Regalado (penalty), Simon Javate and Joseph Victor Medina. Real Molinillo retained third place after defeating Green Stallions in the play-off. In the short awarding ceremonies, closing remarks were delivered by Liza Flores Dimaculangan, the new Operations Manager of The Outlets of Lipa. Assisting her in the awarding of trophies were Marice Ofrin of Aboitiz Land Marketing and the night’s other special guest, former Philippine national team player Jeremias Jiao. Jiao, although born and raised in the nearby town of Cuenca, represented both DLSL and the city of Lipa in numerous secondary competitions. Real Molinillo's Tyron Regalado took home the Top Scorer Award with 11 goals. La Salle's Alessandro Suarez was Season 2's Most Valuable Player. 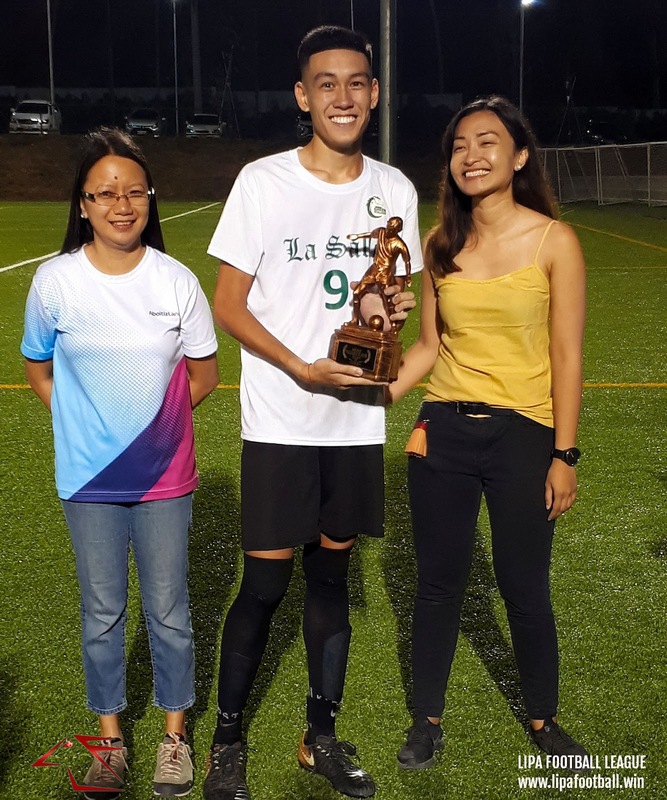 Also receiving the tournament’s special awards last night were La Salle’s Alessandro Suarez, who bagged the Most Valuable Player trophy; and Real Molinillo’s Regalado, who topped the goalscoring chart with 11 goals in 6 matches.